The Machu Picchu Ticket is the first big step to start the dream journey to the Wonder of the World. According to the date of entrance to the Inca llaqta, you start to plan the itinerary of trains, hotels, guides and the whole trip to the city of Cusco. However, what should be done in case of missing the entrance ticket to the Inca Citadel? Know the possible solutions to this problem. Virtually: The Electronic Ticket can be booked from home through a computer or mobile device. It’s easy and safe. Saves time and is the only way to get the tickets with the highest demand. In person: This is done in person at the authorized offices in Cusco, or in the district of Aguas Calientes in Peru. Ticket Machu Picchu Only: It allows the entrance to the Inca City to 6000 people per day. Morning shift: 06:00 a.m. – 12:00 a.m. Afternoon shift: 12:00 a.m. – 05:30 p.m. Ticket Machu Picchu + Huayna Picchu: Allows entry to the Inca Citadel and the Huayna Picchu mountain to 400 people per day. Group 1: 07:00 a.m. – 08:00 a.m.
Group 2: 10:00 a.m. – 11:00 am. Ticket Machu Picchu + Mountain: Allows entry to the Inca Citadel and Machu Picchu Mountain 800 people per day. Ticket Machu Picchu + Museum: Allows entry to the Inca Citadel and the Machu Picchu Site Museum according to the availability of Machu Picchu Only. *The Site Museum opens its doors at 09:00 a.m. at 04:30 p.m. You must make your visit according to the shift you chose to visit Machu Picchu Only. The Electronic Machu Picchu Ticket can be presented in printed form or in digital format (Tablet, Smartphone, etc.). In case of missing a purchased ticket you can virtually reprint it. Today, most tourists acquire their ticket to Machu Picchu in this way. Lost your Machu Picchu Electronic Ticket? Simply present the Ticket Machu Picchu at the entrance gate to the Inca Citadel on a digital platform (Tablet, Smartphone, etc.). This has the same value as a printed ticket. If you can not open your email address where the Ticket Machu Picchu is in digital format, you can contact us at: + 51-84-403077, or, if you are already in Cusco, visit the offices of Machu Picchu Terra during his trip to Peru: Calle Recoleta Angosta 604, Cusco – Peru. We will print a copy of your ticket for free. 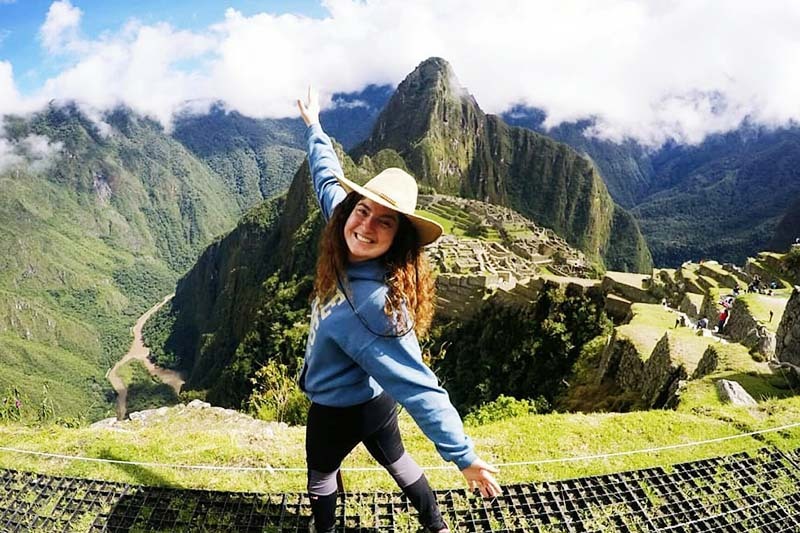 In case of any problem that is not specified in this article, contact the offices of Machu Picchu Terra at the following number: + 51-84-403077. The ticket Machu Picchu + Huayna Picchu must be obtained virtually in due time in advance due to the high demand for income. When entering the Inca City of Machu Picchu in addition to the ticket in virtual or printed format, you must present the original passport or identity document. The Ticket Machu Picchu, in any of its four types, allows the entrance to the Wonder of the World only on the date indicated on the ticket.